A CD release from an unusual Danish ensemble, who have received plenty of attention and glowing reviews not only in Denmark, but also in other foreign countries, for being consequent and honest towards their unique and characteristic style of music that has become the trademark of the Strange Party Orchestra. The rumbling close and well-formed sound of the new release tends to lead ones thoughts towards Tom Waits. The special sound, the unforeseeable percussive drive and a compelling noise of machinery, fold out as poetic acquaintances where minimalism and mellow ballads take the seat of honour. The CD, going against all current trends and common sense, was recorded live to two tracks. 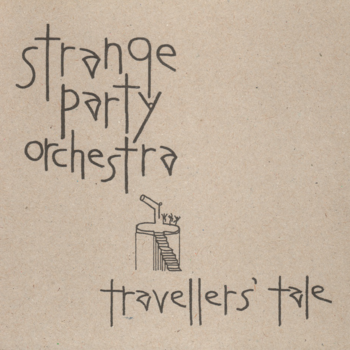 With this, their fourth album, Strange Party Orchestra cements their position as trendsetters.